A rail providing a handhold and serving as a support at the side of a stair or elevated platform. A narrow rail to be grasped by a person for support. 1. 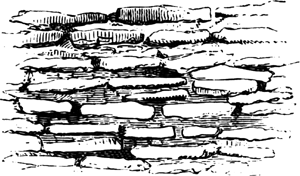 A bar of wood or other material passing from one post or other support to another; a hand support along a stairway. 2. 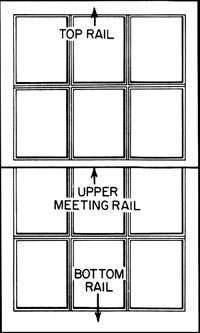 A structure consisting of rails and their sustaining posts, balusters, or pillars, and constituting an enclosure or a line of division, as a balcony rail. 3. A horizontal piece in a frame or paneling as a door rail, or in the framework of a window sash. WHEN you think of adapting homes and buildings I'm sure things like ramps, handrails and walk-in showers immediately come to mind. Records said the British man and his countrywoman, whom he had just met and got acquainted during the cruise, were leaning on the stainless-steal handrail while the vessel was just about to berth. Sean Gilbert, who continues as non-executive chairman for Stainless Handrail Systems, added: "We are really excited about the direction in which the business is moving and we're very much looking forward to seeing it flourish as part of the Colmore Tang Group. There is huge growth potential for Stainless Handrail Systems to move into new sectors. But, the video definitely comes as a warning to hold the handrails while using the escalators and staying away from its sides. Big, dumb, dangerous, shocking, gnarly, astounding, utterly amazing handrails. Handrail material and maintenance are also important. To determine if statistically significant differences occurred in the cardiovascular responses during walking and jogging with the free arm swing and with handrail support, ANOVA with repeated measures were performed analyzing V[O. It was important to us to have the luminaire located out of view under the handrail, effectively lighting the stairs/walkway with good vertical illumination, whilst minimizing glare," says Cliff Hadley. 2m lengths of white oak handrail, four chrome wall brackets in a striking Art-Deco-style octagonal design (other designs are available), and two matching end caps for the rails. Police are warning youngsters of the dangers after it was found the boy had been hanging on to the escalator's handrail on the wrong side. It is only the second time in the structure's 126 year history that the curved handrail has been entirely replaced and joiner Geoff Jackson described the job as a "once in a lifetime opportunity" for his staff.